Morning, y’all! As you wake for the weekend, I’ll be packing for my return to CA. Not enough words to tell you how much I don’t want to go back. Serious. And here’s what inspired the card. Yes – that was in the bathroom in my hotel room (it’ll probably be very similar to the one I check into tonight!). I just thought it was so pretty – and the print reminded me of the Nature’s Poem DSP. I started with a piece of said DSP and, across the bottom, in Tuxedo Black Memento Ink, I added several of the grasses image from Enjoy Life. Then I used my Stamparatus to add the sentiment. I adhered the panel to a Blackberry Bliss mat and then wrapped some Grapefruit Grove Nature’s Twine around twice, securing it in the back with Glue Dots. With another Glue Dot, I added a copper Leaves Trinket. I tied a little bow and adhered it over the trinket – and the card front was done! On the inside, I stamped the leaves image from the Rooted in Nature stamp set stamped-off-twice Blackberry Bliss and Grapefruit Grove on a Whisper White panel. I added another sentiment from Enjoy Life in Tuxedo Black. I used Liquid Glue to adhere the panel to a Blackberry Bliss mat and into my Grapefruit Grove card base, popped the card front on with Stampin’ Dimensionals and the card was done. …and I added more of the Nature’s Poem DSP to the envelope flap. Et Voila! Who knew that a mass-produced picture in a hotel bathroom could be the inspiration for a card?! Just shows ta go ya – ideas are everywhere! And, when you have wonderful sets like the Enjoy Life stamp set and the Nature’s Poem suite to let you express your creativity then you’ve pretty much got it made in the shade! Hope you like! 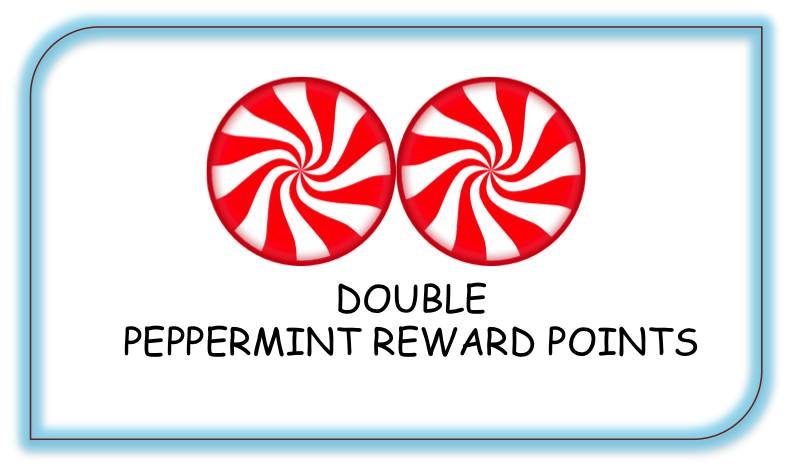 As a little thank you for helping me earn this wonderful vacation, I’m offering you Double Peppermint Rewards Points while I’m away! 1. All orders of $50 or greater (before shipping and taxes) placed through my online store between now and the end of the day on 28 July 18 will earn DOUBLE PEPPERMINT REWARD POINTS!! 2. Don’t forget to add the Host Code below if your order is under $150 to get your free thank you gift (orders over $150 automatically get the free thank you gift!). 3. For more information about my Punkin Head Peppermint Reward points (my buyer reward program), click here. Head on over to my Online Store to get started! If you love holidays—and don’t love taxes—we have some great news for you! Twelve U.S. states will have sales tax holidays for school supplies over the next several weeks. The dates for each state’s sales tax holiday will vary; the definition of “school supplies” will also vary from state to state. Fortunately, a selection of Stampin’ Up! products qualify as school supplies and will be tax-free during each state’s sales tax holiday period. (Sales tax holidays may not apply to additional county, city, and special jurisdiction taxes.) Make sure to take advantage of the savings! To find out which states are participating—and which products will be tax-free for each state—download this Sales Tax Holiday PDF. 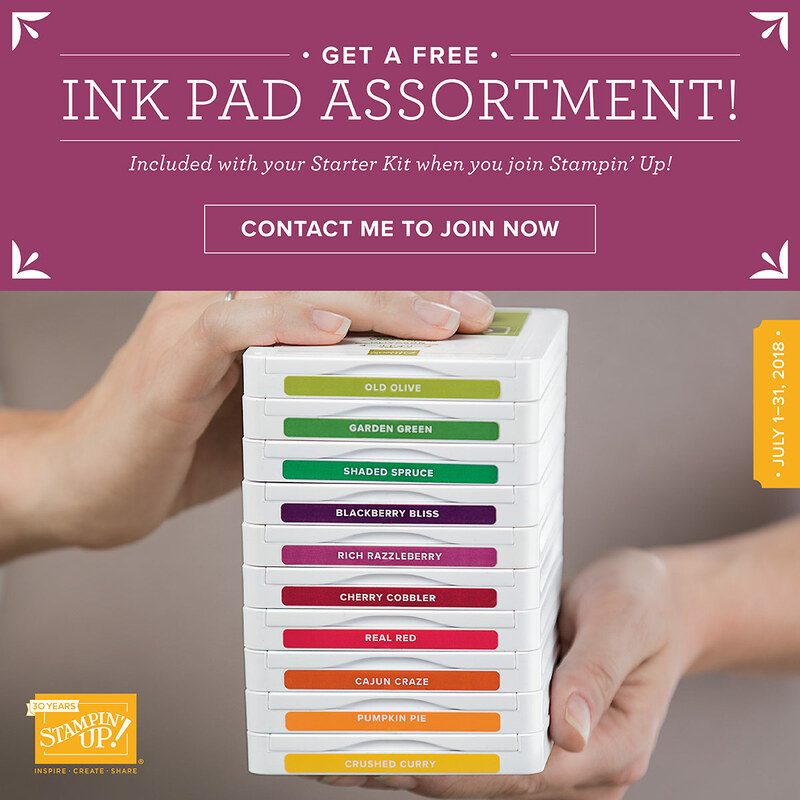 Important Note: Orders must be placed with Stampin’ Up! during the sales tax holiday period to receive these select items tax free; each period begins—and ends—at midnight (MT). New Subscriber’s Get 50% Off Their First Month! I personally LOVE a Half-Off Sale, don’t you? And – what a great time to try out a monthly subscription to Paper Pumpkin! Sign up now to get monthly Paper Pumpkin kits coming to your door – and get the first month’s kit at half price! Start creating and having fun toot-suite! New month-to-month subscribers qualify for the 50% discount and must use the code BLOOM0818at paperpumpkin.com by August 10, 2018 at 11:50 PM (MT). The 50% discount only applies to the new subscriber’s first kit shipped. After that, the price for each month’s kit will return to the regular price of $19.95. Love this card. Love this set of paper and dies. My favorite! Your card makes me happy, but I am sad that you have to go back to CA instead of staying with your beautiful family. How long will you be there? We head for Tampa tomorrow and then fly to Albany, NY on Monday. We used to love flying but haven’t had to do it in 10 years…times have changed. Do you take your snips with you or UPS them with your other supplies? I REALLY like! Such a lovely card, and yes, inspiration is in strange places sometimes. So sorry you have to go back to CA, I hope for not too long. Lately I see no comments, why is that? I always enjoy reading what others have to say. Beautiful card. You are so creative–I’ve looked at lots of pictures in hotels and never created such awesome cards from them! Sorry you have to go back to CA, esp so quickly…hope you got to visit with Finn a little bit. Feeling your pain!!! Wouldn’t want to go ANYWHERE it is 108 degrees to do anything. You take good care!!! Oh Mary! How awful for you and Finn too. TIME TO SERIOUSLY CONSIDER RETIREMENT GIRLFRIEND !